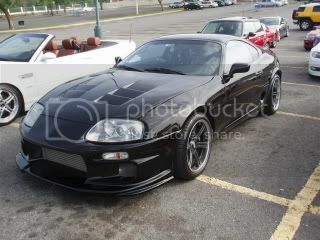 Wow..very nice....it's been a while since I've been back to PR...and seen so many nice Supras! Thomas J. Watson - "The way to succeed is to double your error rate." I have only seen 1 mkiv here... that's it! nice mk3, is that a matte grey? how is the road condition near this section with the tunnel? ill be in pr later this month, visitiing family, and fixing my dads motorcycle, this seems like a great road to go on a "test drive" on. There are quite a few around BUT most people keep them inside their garages..... why beats me!!!! One thing I have notice.... this year is election. That means the road are fixed so the votes aren't distracted. Right now I am driving a GS on 20". I don't know how next year will be but i am crossing my fingers they survive, if the political bodies keep a steady budget to upkeep the roads. Many reassons, specially insurance mkiv are in no insurance list.. And knowing how people drive here will be very, sad that a very old car with $99 insurance hit our precious cars. Other is road conditions. And others like me is just to keep it in pristine condition,s for years to come, I put 100k on him allready and enjoy him so much its time to rest and get him in the best looking form so others could appreciate in time.. Sunday rider for now on..
Last edited by AZSupTT; 07-09-2012 at 09:53 AM. The bad thing about the roads is they fix it every 4 yrs and use cheep materials so they dont last..
Compadres algien no tendra un tablero de lhd pa vender? Mini meet /first Windsor Supra meet!